© Fred Fink. All rights reserved. 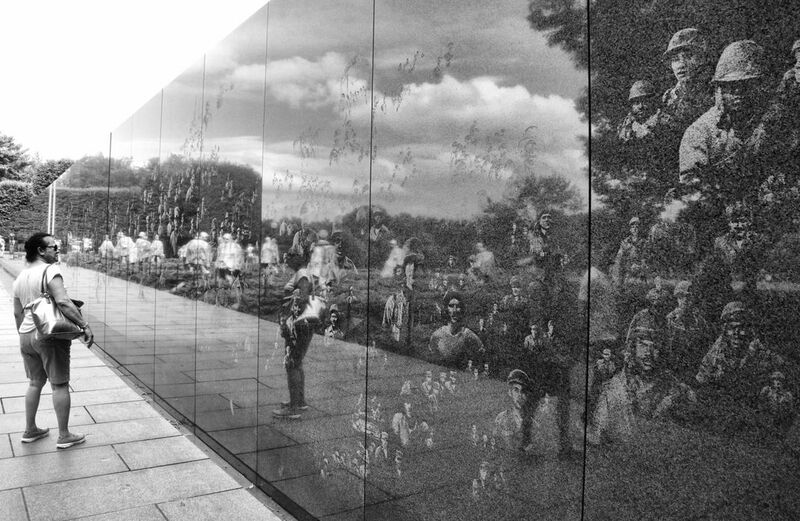 The Korean War Memorial. I saw the figures etched in the wall, along with the reflections of the statues opposite the wall along with the reflection of my wife. I changed the photo to Black & White because that's how I remember the bleakness of the war from the newsreels of the time and it seemed fitting. Date Uploaded: Nov. 17, 2016, 3:11 p.m.